There's still plenty of 2013 to go and a target marathon to attack in 10 days but I've started filling out 2014's diary. Looking at the races already booked in I can't help but think these are distances and challenges I couldn't and wouldn't have even considered a couple of years ago and yet here they are back to back! Something seems to have switched in my head and the more outlandish runs are now far more appealing to me than the previous favourite; the road marathon. Hard to say why that is exactly. 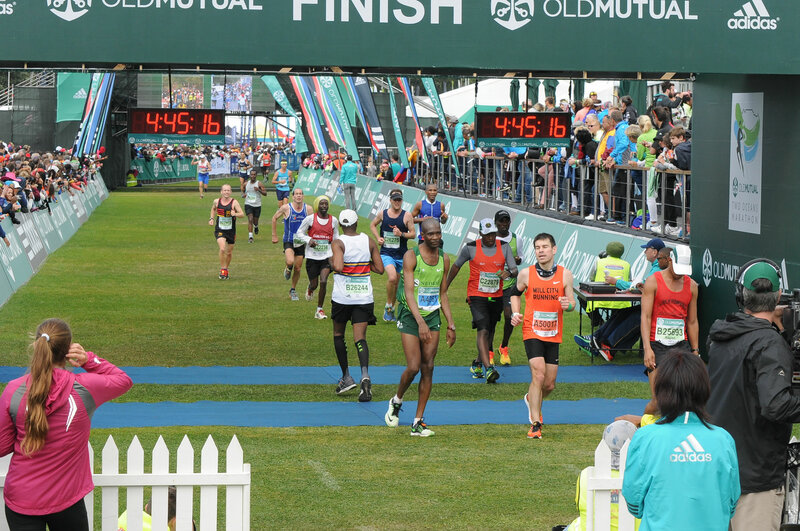 It may be that I've spent years trying to lower my marathon time by a handful of percent and had a lot of disappointment and back luck along the way (though some great experiences too!). The challenge of an ultra on a trail is such a new one to me that my limits are unexplored and tested and that appeals strongly. I think I will still race the marathon for the time being.. I've an entry into the York race in October 2014; I've applied for Berlin and I have the opportunity to run London if I want it. The first challenge that went in the book is a 100 mile race. 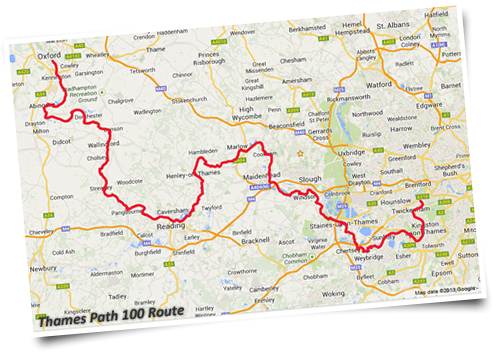 I've entered the Thames Path 100 put on by Centurion. The path runs right past my house (it'll be about 30 miles into the race) so I know it well. The first half at least - the stretch beyond Henley is completely virgin territory to me. I'm about to recce a 2-mile stretch and walk to Costa! No idea how the body and more importantly the mind will cope with that (the 100, not the walk to Costa). It's likely to take at least 20 hours and run through the night. The landscape is extremely flat which while it sounds like a good thing could be a potential source of blisters and injury with repeated, identical footstrikes. 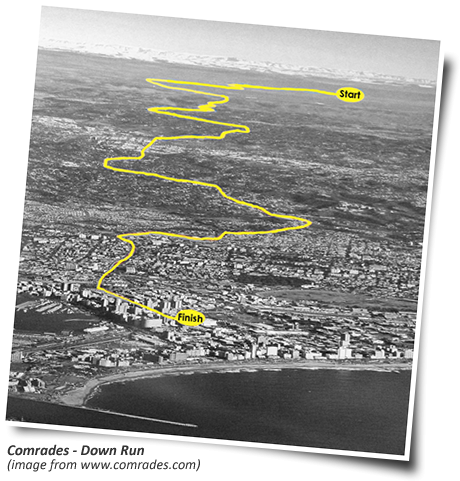 Just 4 weeks after that I've decided to go back to South Africa and take on the Comrades Down run from Pietermaritzburg to Durban. I've surprised myself because I thought if I went back to South Africa it would be to take on the Two Oceans in Cape Town - another bucket list race. I didn't achieve the Silver medal I wanted last time (and this race will no doubt be compromised by the 100) but this is a different challenge being predominantly downhill. I am sure that will be it as far as this race goes. Surely? The down run is slightly longer than the up - around 56 miles - and I'm kind of hoping that will feel (relatively) like the half marathon distance does after you've tackled the full. I know that's wildly optimistic! I still want a shot at the Silver but will have to be realistic and see what state the 100 leaves me in. Around 8 weeks after that I'm going solo in the Thunder Run - a 24hour race around a 10k circuit in Catton Park, Derbyshire. I've heard nothing but good things about this event and it's another new experience. I hope 8 weeks will be long enough to recover from Comrades. Because it's a down run, and many of the downs are steep, it takes a severe toll on the quads from the hours of fighting gravity. I was walking pretty normally the day after the up run but I'm told to budget for 3 weeks for that to happen this time. Training for these events necessitates some other ultras so I'm going back for the Country to Capital in January and taking on a new event for me - the EnduranceLife South Devon Ultra at the beginning of February. I ran their South Downs event this year and thought it excellent despite some pretty rubbish weather and if anything the scenery potential of the Devon race is even better. I found the Sussex event pretty tough, much of that though due to the wrong shoes. Endurance Life grade their events from 1 to 5 as an indication of difficulty. Sussex was a 3 (Strenuous) versus this race's rating of 4 (Severe) so trouble in store there. No doubt I'll still have the wrong shoes. There will be others too, probably at least one double long run over a weekend. That's the plan as of mid October. It'll be interesting to see how it all pans out! No comments yet.. why not be the first?